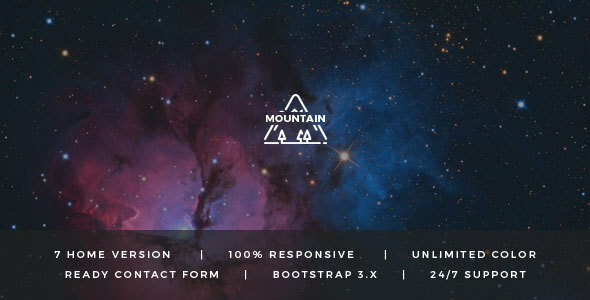 Mountain is the best ever showcase for your apps. Its full responsive design makes you independent on any device and its seven different home pages with six color changing options give you the freedom to make your landing page convertible from simple look to most elegant. This is the best way to attract more people to your page and express your apps and their features boldly. Its structured and commented code helps you to customize very easily. Now you are the owner of your choice, choose the look from a wide range or customize it as you wish. Try it and Enjoy.